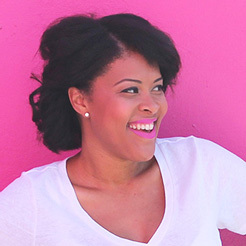 I grew up in California, which meant trips to Disneyland were a requirement for residency. We would pack up the VW camper van (yes—we really had one…in orange) and make the eight-hour drive down to the Sleeping Beauty Castle. In the twenty-five-ish years since we made our last Disney road trip, there are two things that have not changed: 1) Mickey ears are still one of my favorite accessories, and 2) Disneyland during the holidays is one of the best sights to behold. 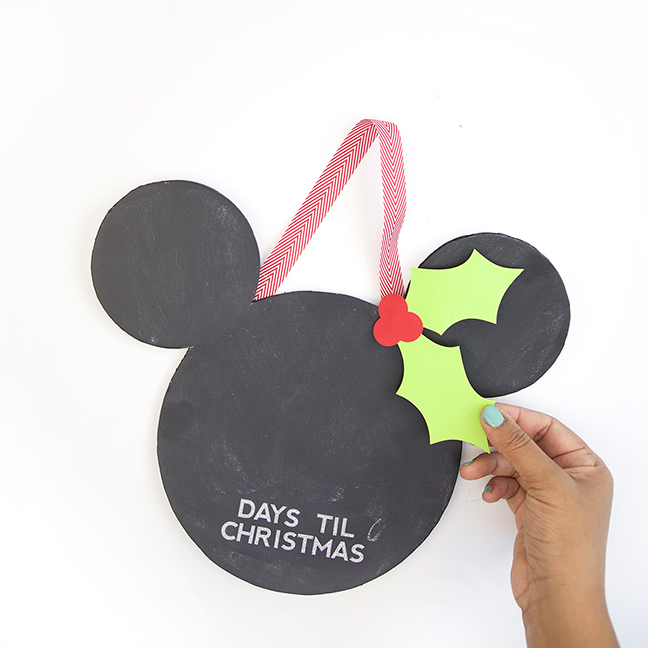 This Mickey Christmas countdown chalkboard combines these two faves to create a really simple way to bring holiday Disney into your home. 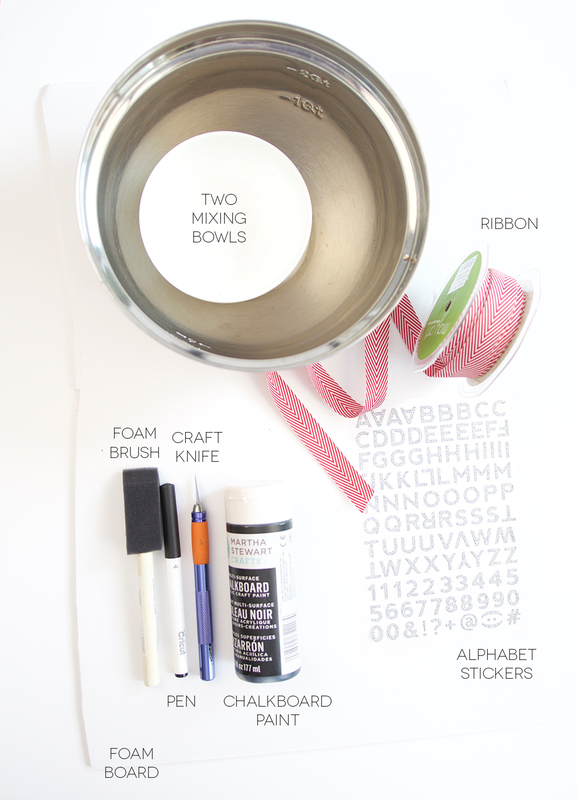 This project uses a few basic crafting supplies and will get your kids excited for Santa’s arrival. 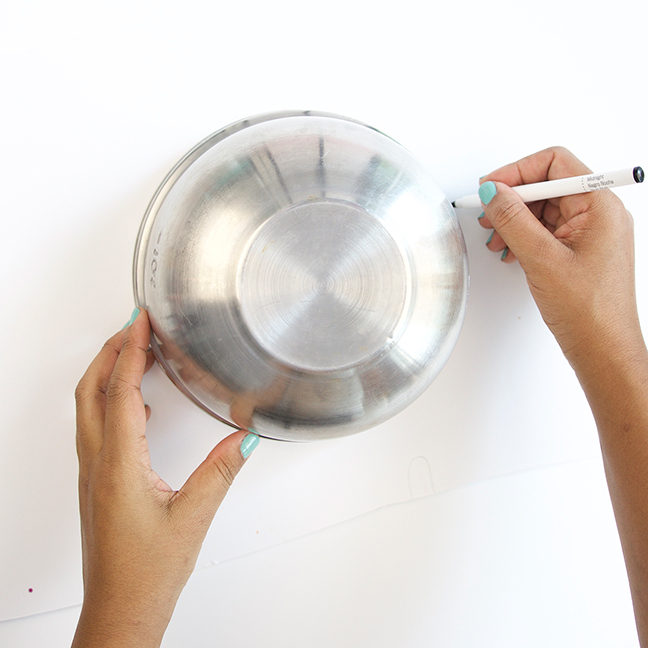 Step 1: Trace the larger bowl onto the foam board. 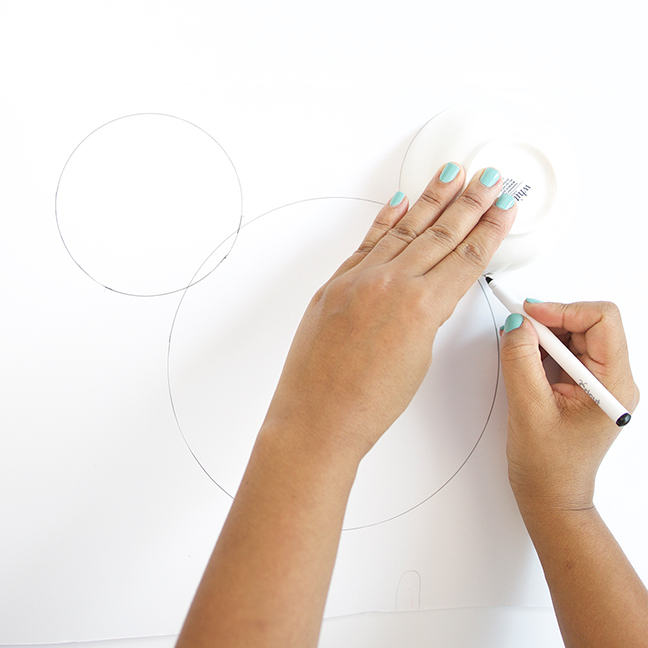 Step 2: Trace the smaller bowl to create the ear shapes. 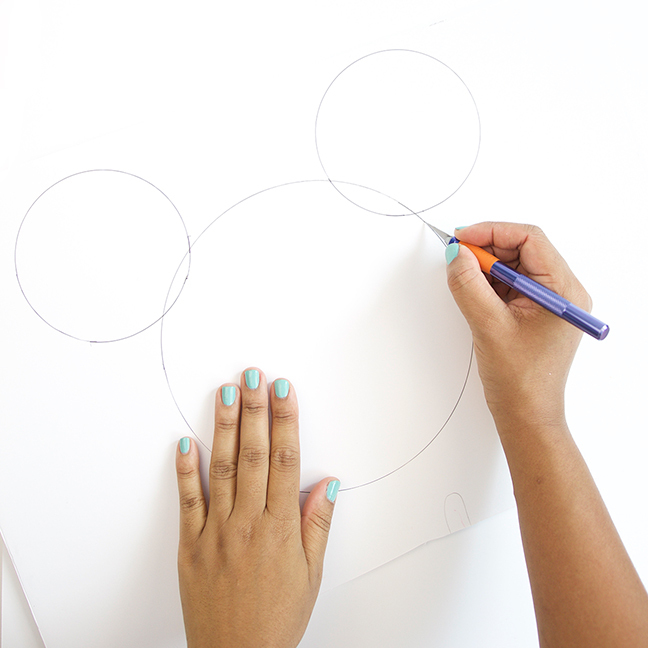 Step 3: Follow the traced lines with your craft knife. 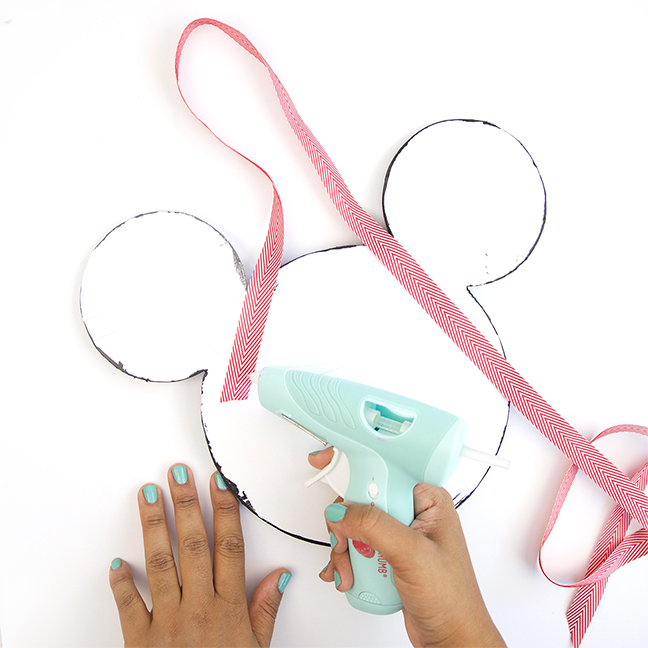 Step 4: Cut carefully until you’ve completely removed the Mickey shape from the foam board. 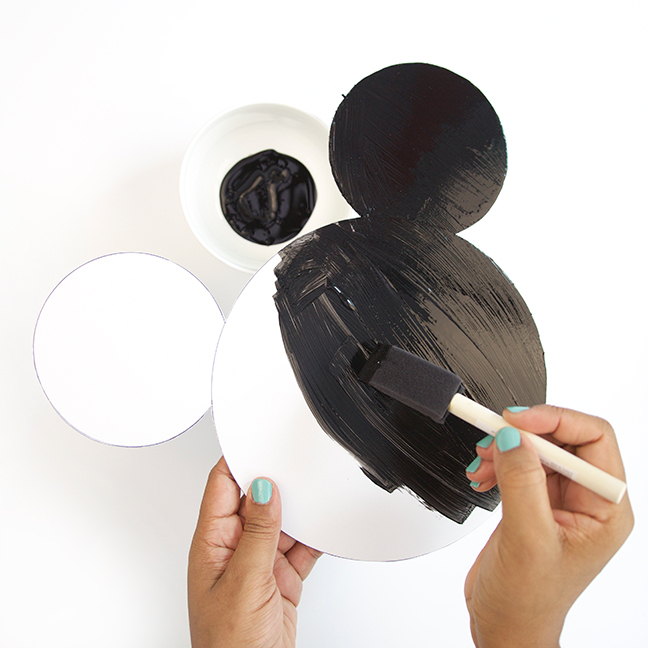 Step 5: Paint the shape with chalkboard paint and allow it to dry completely. 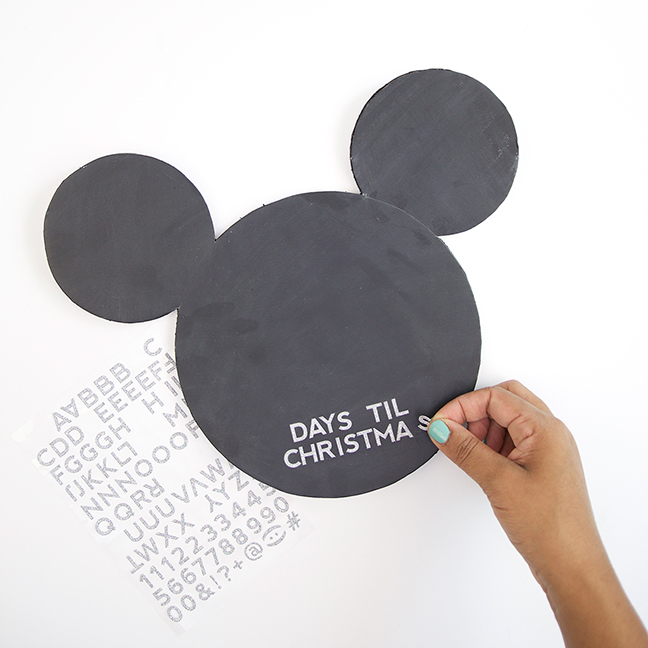 Step 6: Once dry, add stickers to add “Days ‘Til Christmas” to the bottom of the chalkboard. 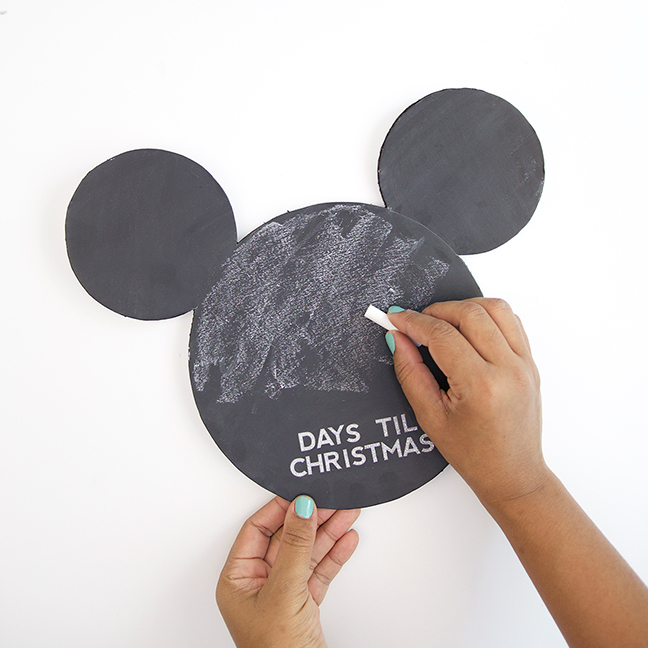 Step 7: “Season” the chalkboard by rubbing chalk all over then wiping it away with a soft cloth or tissue. 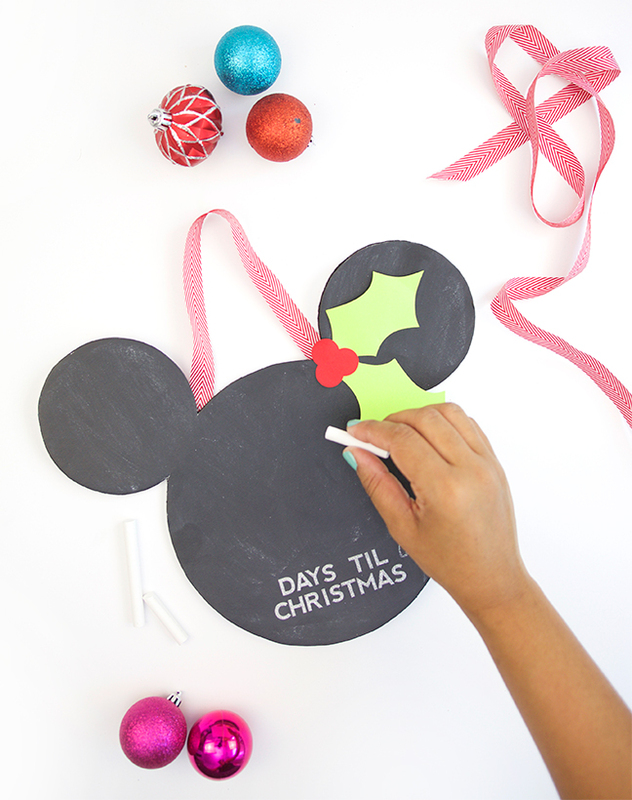 Step 8: Glue the ribbon to the back of the Mickey head so that you’ll be able to hang your chalkboard on the wall. Step 9: (Optional) Cut holly and berry shapes from green and red card stock to add a little holiday spirit to the chalkboard. 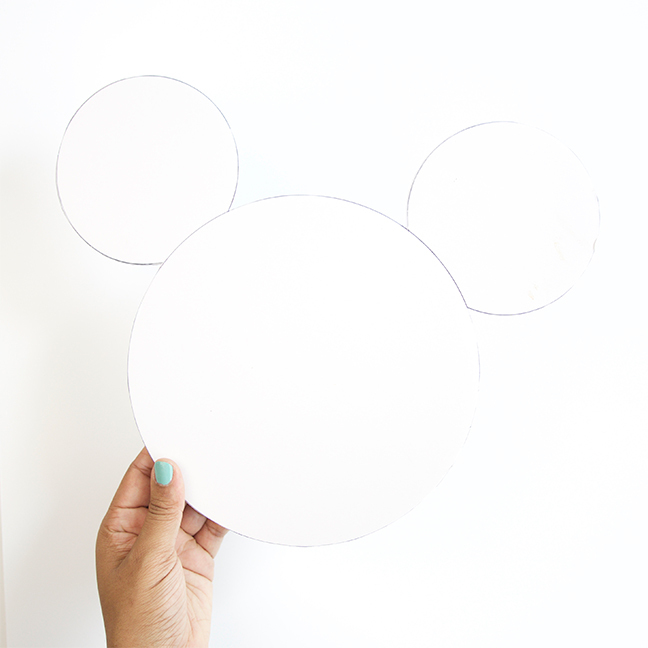 This simple, inexpensive project will bring a bit of Disney to your home! 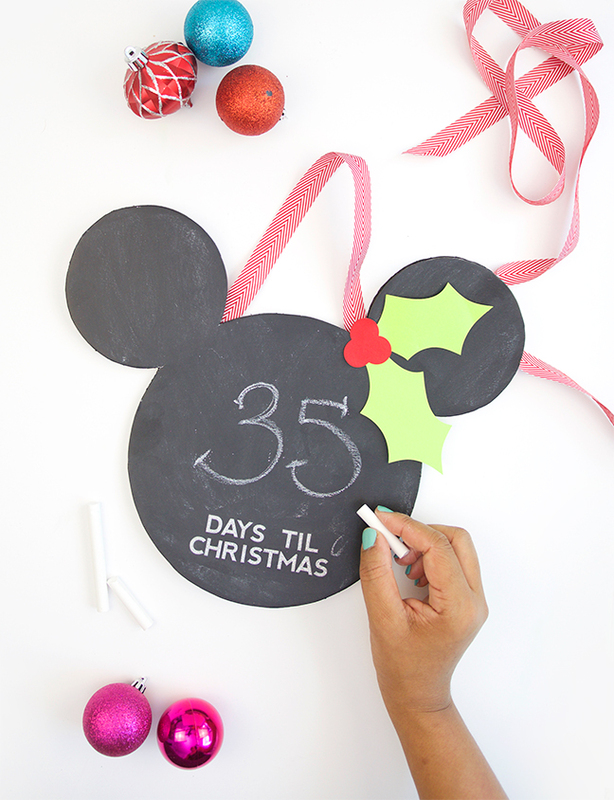 Your kids can even join in and create their own chalkboards for their rooms. Happy crafting!